Stoptober was originally a campaign to encourage people to quit smoking during October. In recent years though – this one in particular – it seems to be trying to stop people drinking as well. I can’t say I was tempted. 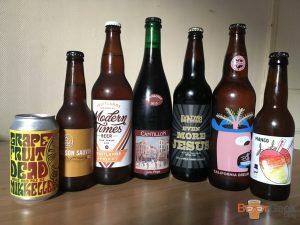 Instead I visited Indy Man Beer Fest (on three of its four days), tried 26 out of the 27 collaborations at BrewDog’s ‘CollabFest’, took some amazing bottles to share at a supper club and attended a rather special Cantillon event. It would’ve been easy to have a list of over 30 top quality beers but I somehow narrowed it down to just 14. Mainly by restricting the number from the aforementioned events. I’ll be writing them up separately in the coming weeks. Let’s get this one out of the way first, shall we? 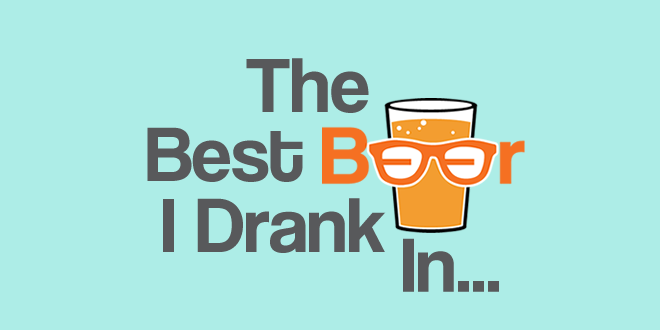 No doubt you already know about the current must have, uber hyped beer. An Omnipollo collaboration with their Swedish neighbours Dugges. Similar to some of the stuff they’ve done with Buxton, particularly Yellow Belly. I first had it at CBC in May where it was in my top five beers, I genuinely never expected to see it again. I’m so happy it’s made it over here though. I was lucky enough to pick up 4 bottles. The first I had in October, the rest I’ll be saving for as long as possible. But willpower has never been my strongpoint. 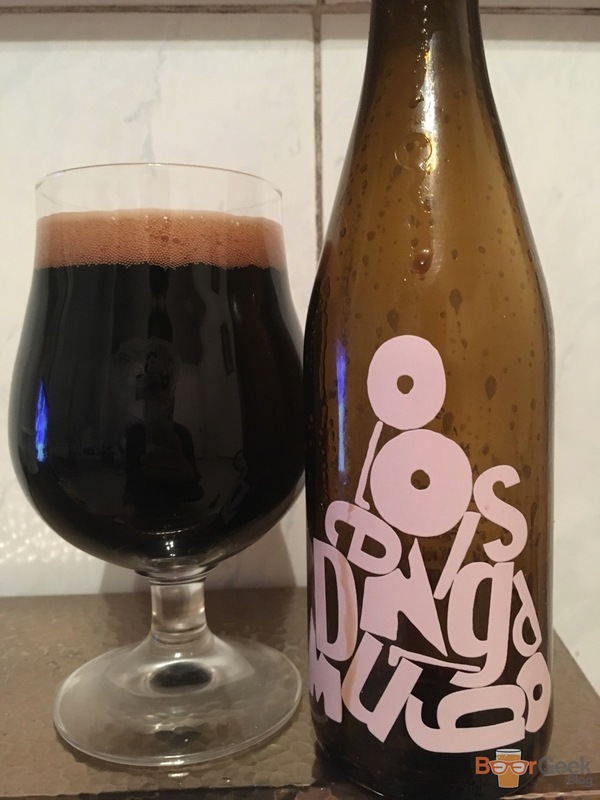 Anagram is another of Omnipollo’s dessert based inventions. A big and rich imperial stout that literally smells like cheesecake. And tastes like chocolate and blueberries with a sweet biscuity or cheesecake base backbone. Yes it’s a novelty beer but it’s a ridiculously good one. Whereas this is very much the opposite end of the spectrum. An ‘Old Ale’ – a traditional style dating back hundreds of years – named after one of the regulars from a pub near the Moor brewery. The beer is dark and full bodied. Full of roasted malts and dried fruit flavours. Not dissimilar to Christmas pudding. I’ve had bottles before but never draft. I hadn’t planned on going out but when I saw it was on keg at Bunbury’s I couldn’t resist. I ended up having three that day, which is unusual for me. As much as I enjoyed it I’m not sure it’s most suited to keg. I’d love to try a cask version. 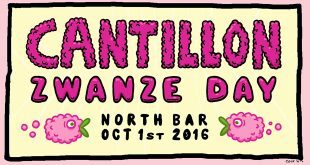 Zwanze Day is an annual event where Cantillon release a special new beer at carefully selected venues around the world. 2015’s was a spontaneously fermented stout. While the previous year saw a blend of their Iris Grand Cru and Kriek. 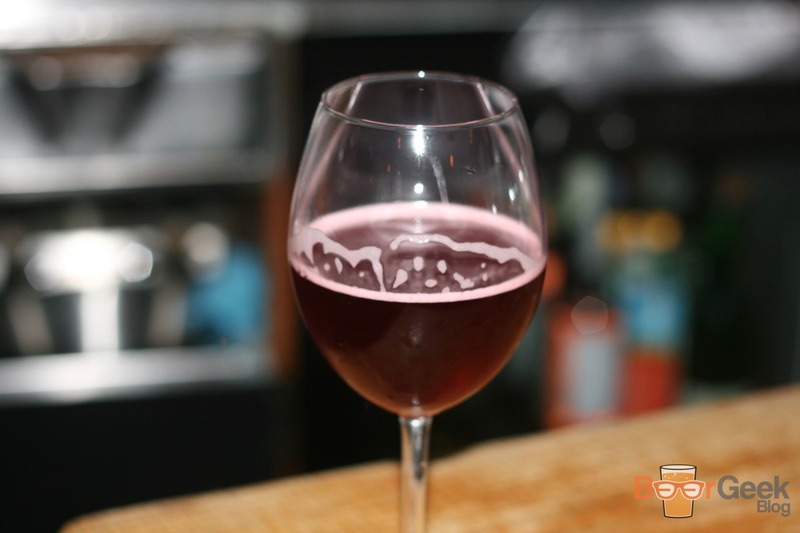 This year’s was called Framboise and it was only available from 3 places in the UK. Aberdeen, London and Leeds. I headed to North Bar in Leeds to get my fix. And wow, what a beer. A solid lambic base with masses of raspberries and blueberries. And most intriguingly a small amount of vanilla. 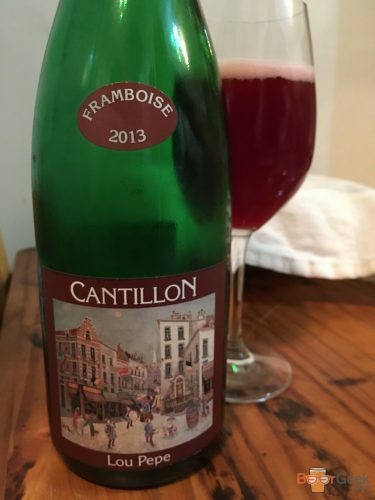 That separates it from Cantillon’s other raspberry based beers like Rosé De Gambrinus and Lou Pepe. Amazingly, you can taste all three elements individually, almost one after the other. Raspberry, then blueberry then vanilla. 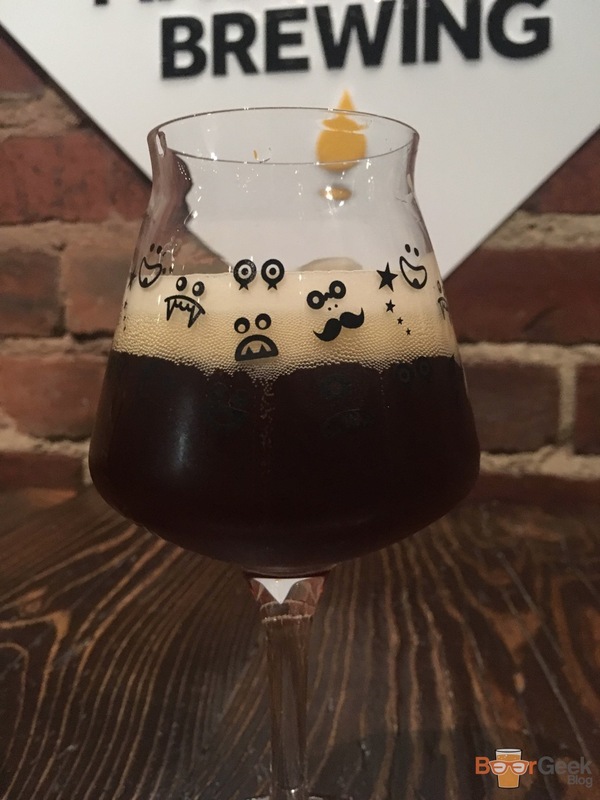 It’s sour, tart and funky with a light spiciness and sweetness from the vanilla. It’s brilliant but at the same time depressing that I’ll probably never get to drink it again. I’ve never been quite sure what to make of Brew By Numbers. 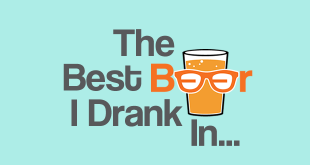 Don’t get me wrong, I’ve enjoyed plenty of their beers, some of them greatly. But at the same time, I couldn’t help thinking none of them are quite up there with the best. Perhaps they spread themselves too thin by covering such a wide range of styles. That changed with the release of their first big DIPA – 55/01 – early this year. A quality citra, mosaic and simcoe DIPA that really made me sit up and take notice. Annoyingly, I missed the follow up, 55/02, but made sure to grab a couple of bottles of this latest release. The hops have varied slightly each time, due to seasonailty I presume. With mosaic being the only ever present. This time they’ve gone with Citra, Mosaic and New Zealand’s Wai-iti. The result is a murky, super juicy, tropical fruit bomb. Almost too much for me (I’m old school when it comes to DIPAs) but there’s just enough of a bitter edge to keep everything nicely balanced. 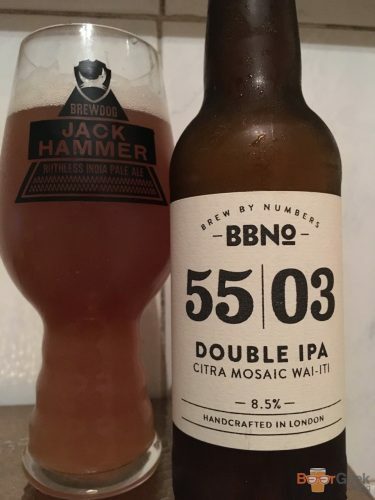 It’s definitely BBNo’s best beer and one of the best UK DIPA’s this year. I’m not generally a fan of beers with spices nor am I particularly fond of the Manhattan cocktail. So despite generally enjoying everything Magic Rock produce I wasn’t optimistic about this one. I was pleasantly surprised. 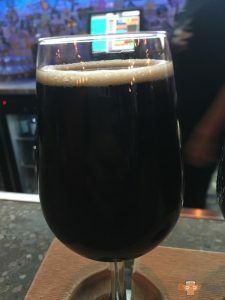 You can tell that the collaboration with American brewery Gigantic is a take on the famous whisky and vermouth based cocktail. It’s sweet and malty with lots of fruit, berries, vanilla and spices. Then a warming rye whisky finish. There’s a lot going on but somehow it works, the flavours meld together beautifully. It’s good fun but definitely one of those beers where a third is enough. I’ve said before how much I love supper clubs. Partly for the food and company but also because I get to take amazing beers that you wouldn’t have a hope of finding in a restaurant. 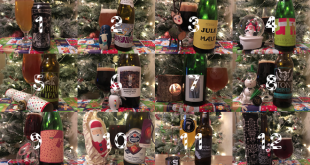 I once counted how many of Mikkeller’s spontan series I’d tried. It was well into double figures and that was quite a while ago. I expect the number is around 30 now. Most are pretty solid, some are exceptional. This one is up there with the best. I guess it helps that I absolutely love passionfruit. Just as well as the funky aroma is packed with it, as is the taste. 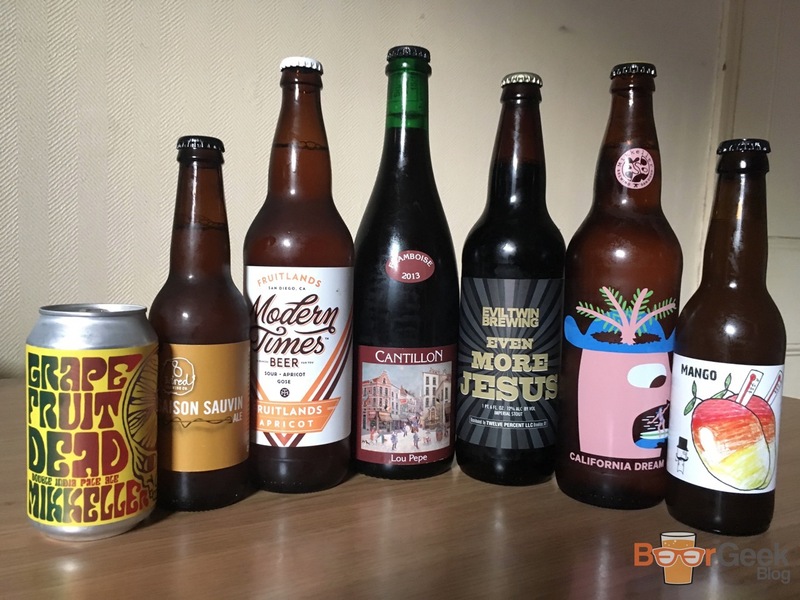 But there’s plenty more besides; tropical fruit flavours, a big sourness and a musty, funky oakiness. It’s very acidic and sour but well balanced and quite drinkable. A really classy fruity lambic style beer. Speaking of classy fruit based lambics, they don’t come much classier than Cantillon. A vibrant red colour with a delicious aroma of fresh raspberries and a touch of oak. Flavour is full on raspberries, sweet yet sharp at the same time. There’s just a hint of acidic vinegar and some funkiness. But really it’s all about the fruit. It’s complex and sophisticated but so easy to drink. A genuine world class beer. After a pretty underwhelming start Fourpure have quietly been turning out some quality stuff over the last 12 months or so. 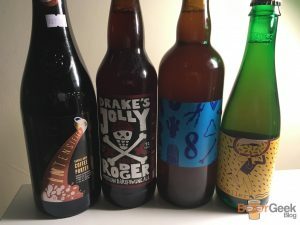 I’ve really liked a couple of their IPAs recently including Shapeshifter and Juicebox. The cleverly named imperial version Deucebox is even better. Although I do like Juicebox it is very, well juicy. Perhaps too much. This DIPA has the same juicy fruits but also a resinous piney and bitter finish. It makes it more balanced and much more to my tastes. 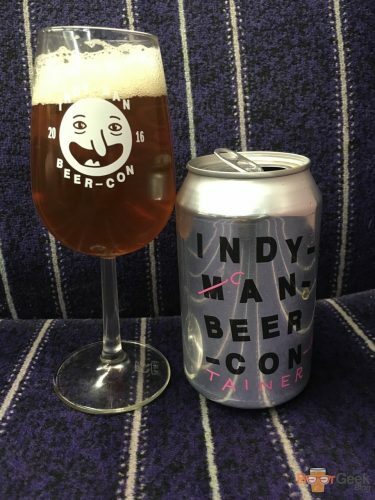 I liked it so much I also filled a can of it at the festivals portable canning bar to drink on the way home. This seemed like a fitting train beer for the journey to Leeds for Zwanze Day. Perhaps not quite having the complexity of the very best (including Zwazne 2016) but still a gorgeous raspberry lambic. And much cheaper and more accessible. 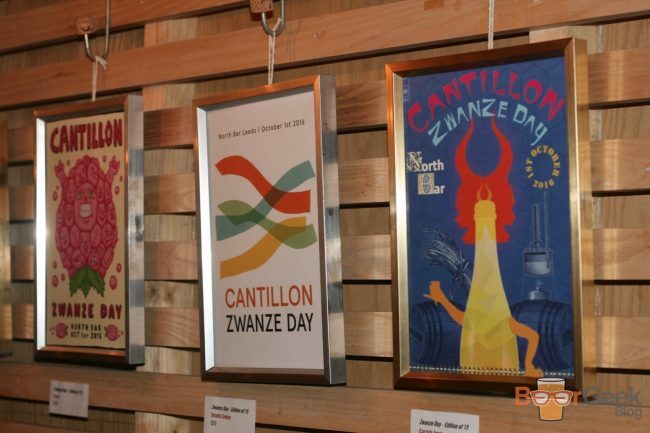 You aint never gonna see Cantillon in a can. Super sour with tons of raspberries and oak on the nose and much the same in the taste. 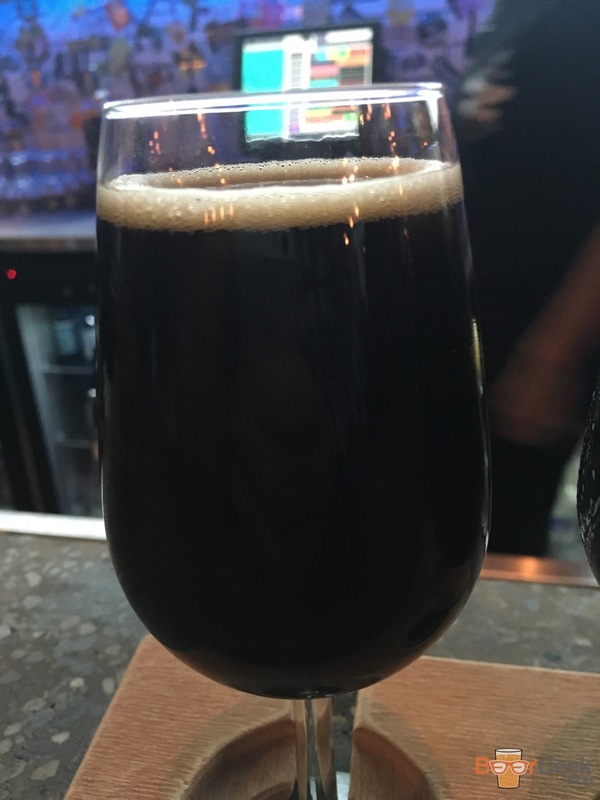 Despite long being won over by their hoppy beers I’ve given Cloudwater a lot of stick for their dark stuff. The first imperial stout I had was simply terrible and nothing I’ve had since has been anything better than just OK. But this one is immense. Thick, rich, full bodied. Ridiculously smooth and tasting amazing. Sweet and bitter with chocolate, vanilla, raisins and a sherry finish. I’d love a bottle for Christmas. 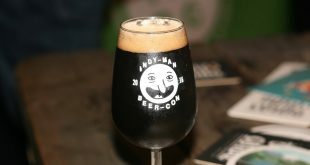 BrewDog’s CollabFest is always one of my favourite weekends of the year. 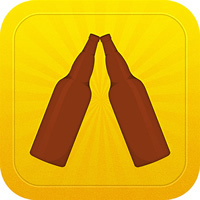 Each of their bars teams up with a local brewery to produce a collaborative beer. Previous years saw some great collaborations, many that have been rebrewed since. Such as Ilkley’s Westwood Stout, Pressure Drop’s Syd Strong and Fallen’s Big Raspberry Dog Chew. 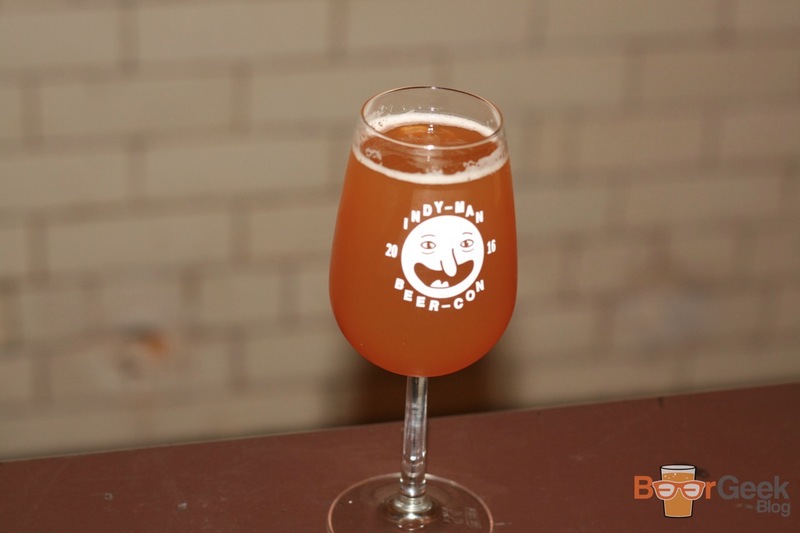 Due to the number of new BrewDog bars this CollabFest was bigger than ever. With 27 bars collaborating with 27 breweries to produce 27 beers! Some of the breweries were big hitters too. 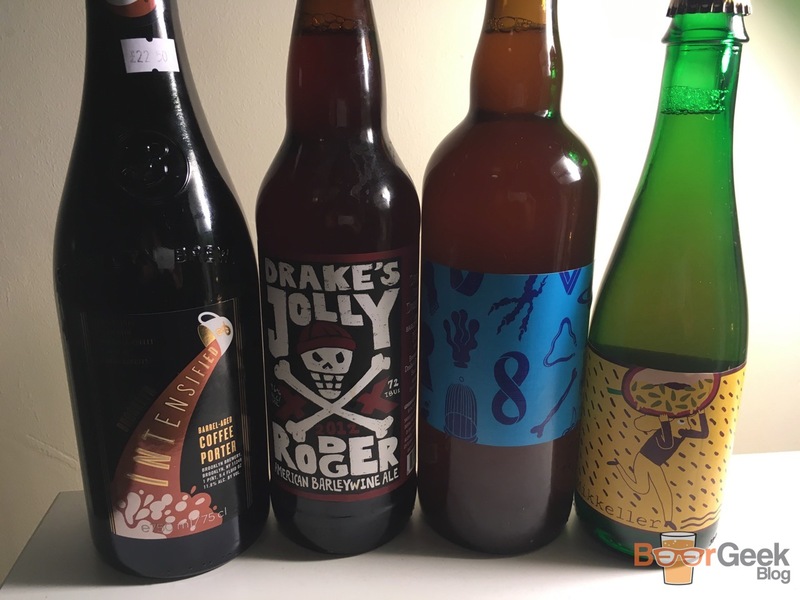 Including Siren, Brew By Numbers, Cloudwater and Weird Beard. There were lots of standouts but my favourite was from Fierce Beer. A tiny and very new brewery from Dyce in Aberdeen. They’ve not been around for much more than a year and only had their own premises since April! You’d never know it from this beer, though. 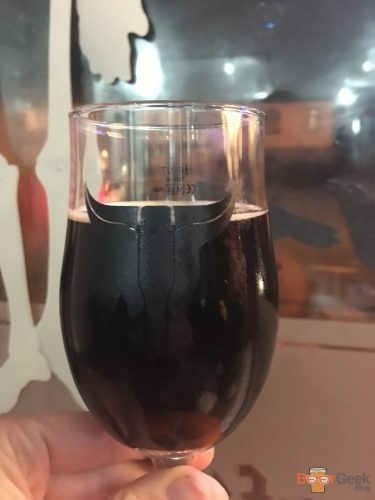 Black Flagship, a collaboration with BrewDog Aberdeen is a chocolate porter with Scottish brambles. The aroma is much like a regular porter. Loads of roasted malts and chocolate with just a hint of berries and fruit. Really quite unusual but very enjoyable. So I’d been at the Friday day session of Indy Man Beer Fest. 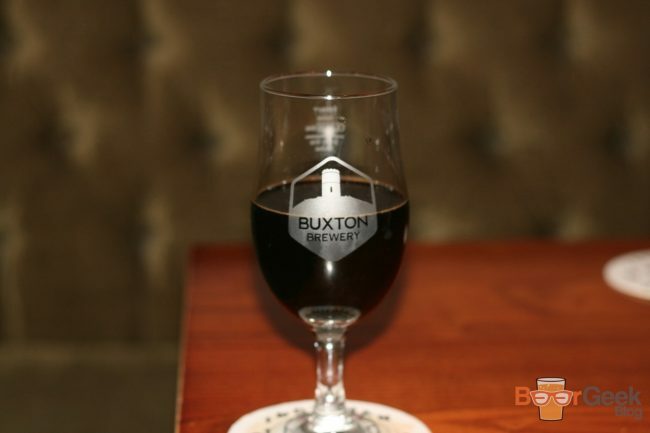 I found out that nearby Port Street Beer House had a Buxton Takeover and were putting on a number of special beers. Including one of only two casks of Yellow Belly Sundae in existence. It’s not the most sensible idea to go to such an event after a fairly heavy session at a beer festival but needs must. This was rare stuff. At least it didn’t start until 7:30pm. That gave me a couple of hours to chill out and drink coffee. Or not. 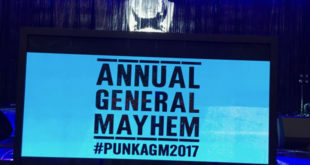 As I spent it at a Kernel Takeover at BrewDog instead. I made it to Port Street though and am I glad that I did. I’ve had regular Yellow Belly several times since my first Sundae. I think I prefer the original, but I’d forgotten how much more depth this version has. Aged in bourbon casks with vanilla beans and cocoa nibs; it’s bigger, boozier, richer and more complex. Like Yellow Belly the aroma is mostly peanut butter and chocolate but there is a slight note of bourbon too. While the taste is sweet chocolate, biscuit and nuts with warming bourbon at the end. In some ways this was even better. Not the beer as such, they’re too different to compare. But this was even rarer than Yellow Belly Sundae on cask. I mean, I’d had than once before and again since. 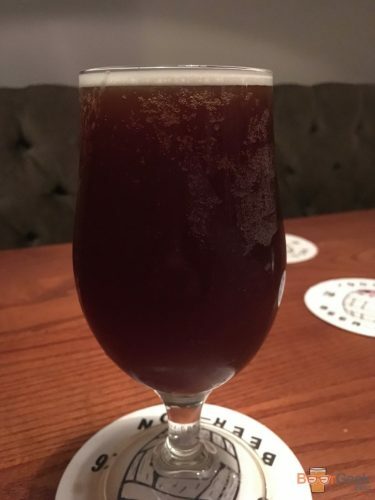 But this was the ONLY keg of Brett Aged Raspberry Rye in the UK and one of only TWO in existence! Buxton’s Red Raspberry Rye is one of my favourite sour beers and one that I drink again and again. I’m partial to bretted beers so I couldn’t not love this. And I did. If I was being critical, I’d like the brett character to have been more prominent, it really was very subtle. But when the original is so good anyway a small tweak is no bad thing. 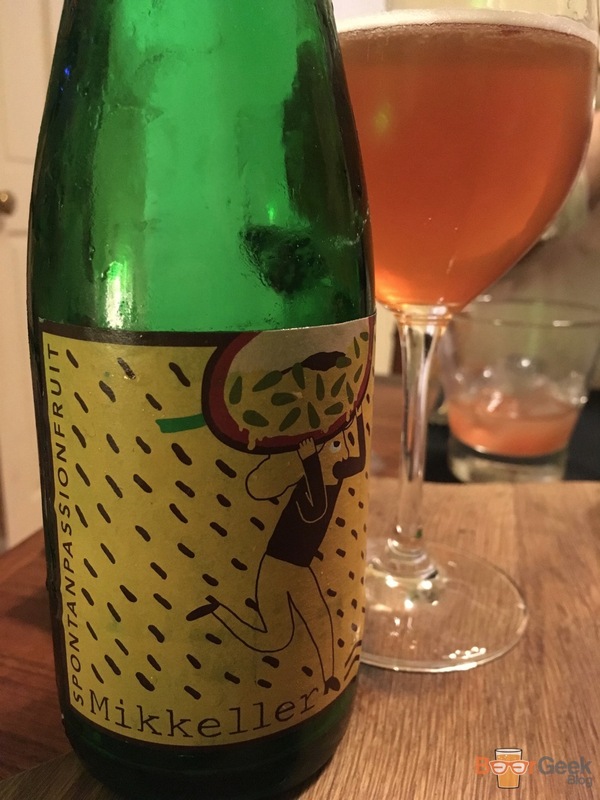 There was a mellow funkiness to accompany the sour fruits and rye. They worked really well together, I just wish it was more. Also on was a Double Fruit version with more than twice the raspberries of the regular, and it showed! 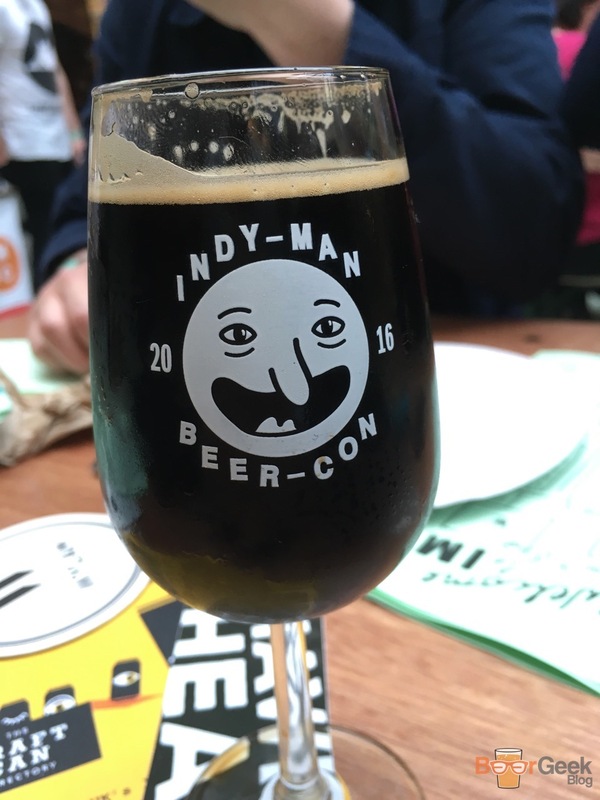 On the face of it a beer festival like Indy Man seems a ridiculous place to sneak in and share amazing bottles. But it’s not as silly as it sounds. It’s a great chance to meet up with people who you may only know online. 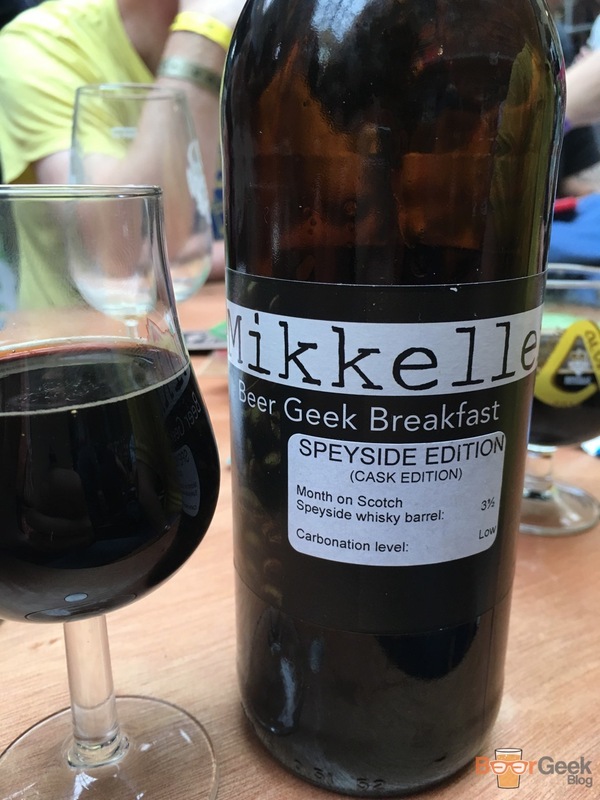 Rob Doyle of Hoptimism and UKCBF fame kindly shared this beauty with a few of us on the Friday day session. 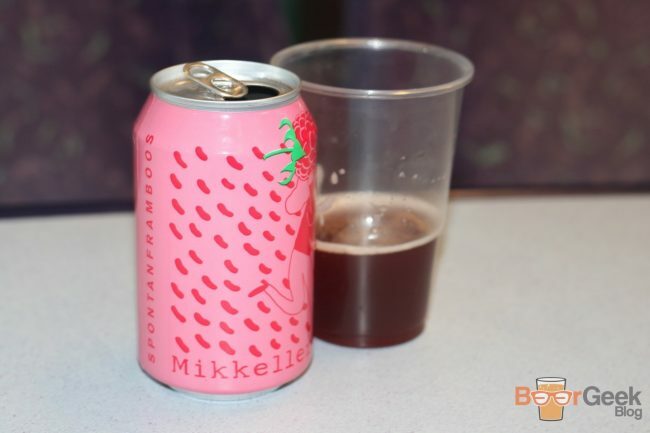 It’s no secret that I’m a fully signed up Mikkeller fan boy but this was pretty special. An absolutely amazing aroma of dark chocolate, coffee, vanilla, dark fruits and wood. The taste didn’t quite match it. I hadn’t had this version of Beer Geek Breakfast before but I have had quite a few variations. Never one this old though, I think the 7 years ageing has definitely mellowed it out a lot from what it once was. There was still plenty of flavour though; coffee, chocolate, whisky and smoke. But it was so smooth and rounded, like all the flavours had merged into one. I’d love to try a fresher bottle to compare but I guess that’s never going to happen. 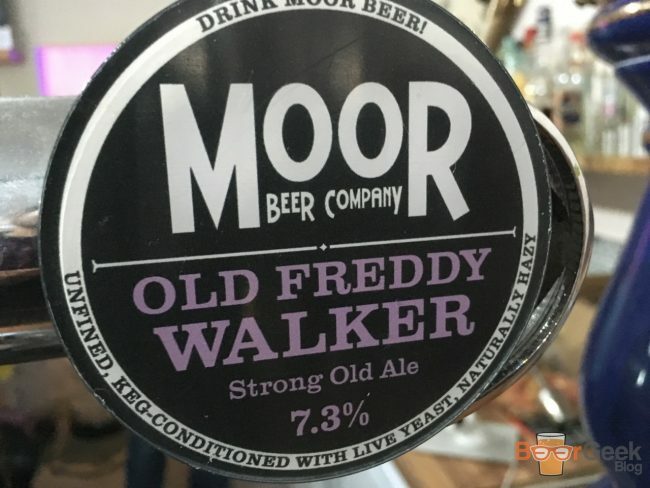 The Old Freddy Walker looks amazing!